One of the biggest splashes at EAA AirVenture Oshkosh 2014 came with the debut of the MVP.aero's new offering, their MVP that stands for Most Versatile Plane. The mockup was presented to a standing room only crowd of journalists and then placed on display in EAA's 10 Year Anniversary Celebration of Light-Sport Aircraft. All week long, it drew thick crowds anxious to ssee the many unique features of the coming SLSA model. Here some of the details in this video from founder Darrell Lynds. One of the biggest splashes at EAA AirVenture Oshkosh 2014 came with the debut of the MVP.aero’s new offering, their MVP that stands for Most Versatile Plane. The mockup was presented to a standing room only crowd of journalists and then placed on display in EAA’s 10 Year Anniversary Celebration of Light-Sport Aircraft. All week long, it drew thick crowds anxious to ssee the many unique features of the coming SLSA model. Here some of the details in this video from founder Darrell Lynds. MVP beautifully displayed in its appointment-only showroom at the Spruce Creek Fly-in near Daytona Beach, Florida. SEBRING 2016 PREVIEW — Folks are headed to Sebring. I'm already here, residing about three hours north in Daytona Beach, and it is sunny and pleasant outside. To a Floridian, it seems a bit cool ... meaning mid-50s. Now, I know it's become quite cold up north, so 50s may not sound bad; we're softies down here. Opening day Wednesday looks improved with forecasts saying a high of 63 degrees and winds out of the north at 5-10 mph. Thursday looks even warmer with a high of 71 and winds south-southeast at 5-10 mph. Friday should remain warm but rain is forecast. However, the final day, Saturday the 23rd, looks sunny, cooler (55) and windier. Every day may not be perfect but the two opening days look optimal. For aircraft departing on Sunday, weather again looks quite accommodating with the high above 60 and winds out of the west-northwest at only 5 to 10 mph. 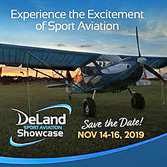 "The MVP World Tour continues with it's first public showing in Florida at the Sebring Expo," indicated MVP.aero boss Darrell Lynds. "MVP's unique transformation ability will be demonstrated live with the camping and fishing configurations. 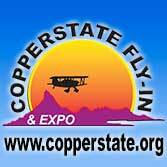 Come and see the future of aviation innovation up close and full size!" In a similar class as Icon's A5 but boasting greater forms of utility (many details in this video), MVP, along with the Vickers Wave, are examples of what I call third-generation Light-Sport Aircraft. Although a few other good examples exist for 3rdGen LSA, these three — A5, MVP, and Wave — are exceptional developments. Icon is starting the effort of production while MVP continues in design and team building. 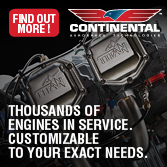 Their aircraft has played to rave reviews at AirVenture Oshkosh and other locations where its has been examined. Speaking of team building, MVP welcomed Jeff "Roach" Rochelle to their team. Jeff is a fighter pilot turned businessman with more than 4,500 hours in the F-16 Fighting Falcon. "Roach" is an aeronautical engineering graduate of the U.S. Air Force Academy, a graduate of the Air Force "Top Gun" Fighter Weapons School and has a Masters Degree from Embry Riddle Aeronautical University. His pedigree includes a tour with the Thunderbirds aerial demonstration team. Jeff joins MVP after over 11 years with Lockheed Martin Aeronautics fielding the latest technology in the F-16. Now the founder of an aviation company flying the Eclipse jet and Extra aerobatic aircraft, Jeff brings MVP Aero over 40 years of aviation experience as a pilot, engineer and businessman. Regarding MVP, about which he is clearly enthusiastic, Jeff aid, "MVP uses brilliant engineering to make the world's safest and most useful seaplane! The discerning pilot will appreciate this aircraft." 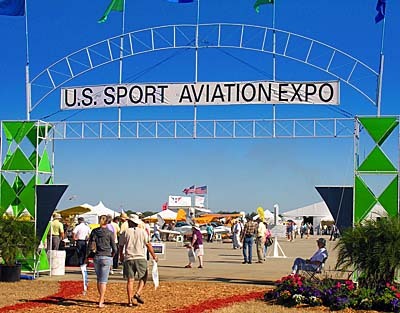 Come see MVP and hundreds of other aircraft and all manner of aviation equipment at Sebring. You can also attend forums, talks, and business folks will enjoy the LAMA Dinner on opening night. C'mon down! SEBRING 2016 PREVIEW — Folks are headed to Sebring. I’m already here, residing about three hours north in Daytona Beach, and it is sunny and pleasant outside. To a Floridian, it seems a bit cool … meaning mid-50s. Now, I know it’s become quite cold up north, so 50s may not sound bad; we’re softies down here. Opening day Wednesday looks improved with forecasts saying a high of 63 degrees and winds out of the north at 5-10 mph. Thursday looks even warmer with a high of 71 and winds south-southeast at 5-10 mph. Friday should remain warm but rain is forecast. However, the final day, Saturday the 23rd, looks sunny, cooler (55) and windier. Every day may not be perfect but the two opening days look optimal. For aircraft departing on Sunday, weather again looks quite accommodating with the high above 60 and winds out of the west-northwest at only 5 to 10 mph. MVP drew pilots and potential investors at the Palo Alto Airport in Silicon Valley. At Spruce Creek in Florida, Darrell Lynds addressed one of several groups of prospective investors. You have to love the English language (or maybe hate it for the same reason): New words keep arriving in conversations. Team MVP used the term "triphibian" to mean a Light-Sport Aircraft seaplane entry that could land on runways, waterways, or snow. Of course, many amphibious seaplanes could make a similar claim so perhaps it took something even better. Enter "Omniplane." Is this the plane that can do it all? In May of 2015, MVP.aero went on tour, hitting the west coast area known as Silicon Valley, then traveling over 2,000 miles to Daytona Beach, Florida ... as luck would have it, right to my home airport of Spruce Creek (technically in Port Orange, Florida). The airplane was trucked across the country as today it is only a well-traveled mockup while the company raises funds to complete engineering and enter production. Silicon Valley and Spruce Creek are excellent places to seek investors that understand the magic. 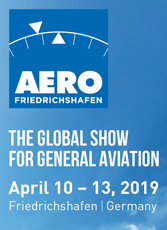 On May 1st and 2nd, at Palo Alto Airport, an organization called Aero Sports Association organized and held a well-attended event to raise funds in the worldwide center of technology, Silicon Valley, California. Between aviation enthusiasts and potential investors, nearly 200 people brought a wide range of backgrounds and interests to participate in an event organized by ASA president, ShuDong Li who said, "ASA is focused on building a platform to promote and develop China and US aviation and business exchange." Darrell Lynds, president of MVP, shared his excitement, "This event far exceeded our expectations. We met not only aviation investors and aviation industry leaders, but we were also pleased to see pilots and aviation fans from reputable companies such as Google, Facebook, and Apple. We had a good turn out and it was evident that a lot of people were interested in our MVP aircraft. We really appreciate ASA giving us this great opportunity to promote our aircraft in the Silicon Valley. We will also join the ASA team by participating in the 2015 China's Anyang Airshow, which will be coming up on May 25th." MVP made a big slash (figuratively, not yet literally) at AirVenture 2014 when the Minnesota company give a major press conference and debuted their new amphibious LSA in a special celebration display mounted by EAA on the occasion of the tenth anniversary of the Sport Pilot / Light-Sport Aircraft rule being announced. The company has already raised a substantial amount of money that has taken the design from concept to mockup into significant engineering and marketing efforts. Funds are now being raised in a very innovative method to carry the versatile design through FAA acceptance and manufacturing. In Florida, MVP was hosted by one of their two fabrication partners. In the western U.S., MVP will work with Glasair Aviation, maker of the Glastar and new LSA entry, Merlin (video). In the east, the Minnesota outfit will work with Fibercraft, based at the Spruce Creek airport. Mike Lynds reported, "We found strong support for the MVP in both California and Florida." (You can see more about the aircraft and its features in this video. Following on many other projects that overpromised and underdelivered, MVP is being very careful how they proceed. They refer to projected milestone dates that strike listeners as realistic. I recall all the excitement generated about Very Light Jets and Eclipse. While that company did hang on to produce actual flying machines, the development raised huge amounts of capital (north of $1 billion, according to reports) but was challenged to move smoothly from investment marketing to manufacturing. MVP.aero is keenly aware of this and other failed projects, which is surely guiding their cautious approach. Caution or not, MVP (for Most Versatile Plane) generates remarkable enthusiasm from those who study it. You have to love the English language (or maybe hate it for the same reason): New words keep arriving in conversations. Team MVP used the term “triphibian” to mean a Light-Sport Aircraft seaplane entry that could land on runways, waterways, or snow. Of course, many amphibious seaplanes could make a similar claim so perhaps it took something even better. Enter “Omniplane.” Is this the plane that can do it all? In May of 2015, MVP.aero went on tour, hitting the west coast area known as Silicon Valley, then traveling over 2,000 miles to Daytona Beach, Florida … as luck would have it, right to my home airport of Spruce Creek (technically in Port Orange, Florida). The airplane was trucked across the country as today it is only a well-traveled mockup while the company raises funds to complete engineering and enter production. Silicon Valley and Spruce Creek are excellent places to seek investors that understand the magic. In the first decade of Light-Sport Aircraft we saw a new model emerge nearly every month; some months brought more than one model. SLSA approvals reached 136 aircraft, most of them land-based aircraft (our SLSA list describes each type). To general aviation pilots used to a genuinely new aircraft model once a decade or so, this LSA development outpouring was phenomenal. 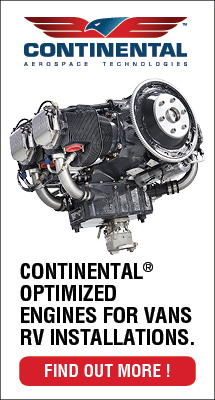 Cirrus SR20 was certified 17 years ago in 1998; how many other all-new GA models can you name since? 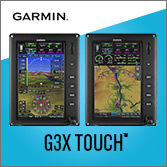 By 2015, the torrid pace has slowed for various reasons and now we see more incremental changes on Light-Sport Aircraft, by which I mean new engines, interior changes, new avionics or other features, and so forth. This is much like in the GA world and I see nothing wrong with that, but it is less inspiring than a constant flow of brand-new concepts. Rushing into this all-new-design gap like a tsunami filling a Pacific atoll are LSA seaplanes. Dock in a slip among the yachts using your bow thruster and erect your 8-foot wide, 9-foot long camper tent. 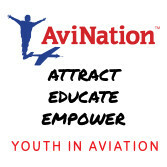 Using the line “Your Passport to the Planet” MVP.aero (yes, that’s the company name … well, with an “Inc.” on the end), this Minnesota company made a great big splash at AirVenture 2014. 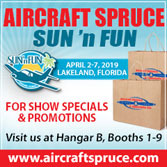 Not literally in the sense of a splash into the water but from a marketing standpoint, the MVPers created a tsunami of interest in their LSA seaplane entry that buoyed activity among all Light-Sport Aircraft at the show. MVP innovation showed well in aircraft features (described below) and in PR savvy, calling the “Most Versatile Plane” a “triphibian.” As the company is being created near Cirrus Design HQ in Duluth, Minnesota, it may not surprise you that MVP manages takeoff and landing on pavement or turf, water, and snow. The team also brought the term “origami deck” to airplanes with the occupied area convertible in various ways with panels that “fold” into different purposes. In all, MVP represents a batch of fresh thinking that forms a potent statement about how the LSA sector breeds disruptive designs far faster than hide-bound Part 23 Type Certified aircraft that seem to need an act of congress to change a bolt. MVP.Aero's main men (before they had a chance to change into their press conference logowear): Mike Van Staaggen (L), Darrell Lynds, Mike Lynds, and Steve Pugh. A standing room only crowd just walked out of the pre-opening Sunday press conference held by the MVP.aero folks. This airplane has been in the works for many months but principals have done a masterful job of what might be called the "Apple approach." The giant iDevice maker jealously guards their press announcements and does well considering how many folks would love to blow their cover and tell the world what Apple plans before the company does. Kudos to MVP.aero (yes, that's the name of their company) ... it was founded by a father and son team of software experts and they clearly know how to play that game; they kept their secret very well. To bring you the fastest breaking news, what follows is a series of photos. I look forward to fleshing out the story as time moves forward, but for this post, the pictures are worth more than thousands of words. So look and enjoy; stay tuned for more as Oshkosh kicks off. • Oh, one more thought about MVP.aero at AirVenture 2014. While waiting for the press briefing to start, I overheard some journalists talking. These were folks who report on the heavy iron, King Airs, Embraer bizjets, and such. Yet they agreed between themselves and declared, "That aircraft outside, that new LSA seaplane, is probably the hit of the show." They gave the emphasis and again, these were folks who don't usually cover light aircraft. Of course, their view is subjective, but I found it interesting, and well ... you judge for yourself and see if the Most Versatile Plane meets qualifies as a hit. A standing room only crowd just walked out of the pre-opening Sunday press conference held by the MVP.aero folks. This airplane has been in the works for many months but principals have done a masterful job of what might be called the “Apple approach.” The giant iDevice maker jealously guards their press announcements and does well considering how many folks would love to blow their cover and tell the world what Apple plans before the company does. Kudos to MVP.aero (yes, that’s the name of their company) … it was founded by a father and son team of software experts and they clearly know how to play that game; they kept their secret very well. To bring you the fastest breaking news, what follows is a series of photos. I look forward to fleshing out the story as time moves forward, but for this post, the pictures are worth more than thousands of words. MVP.aero wants to tempt you to come by EAA's 10th LSA Anniversary Celebration exhibit at AirVenture 2014. 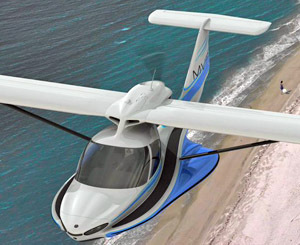 An entirely new Light-Sport seaplane will make its "global debut" at EAA AirVenture 2014 and this is one you'll want to see up close and in detail. As with a number of other persons, I have been briefed on this new entry and, like the others, I signed a Non-Disclosure Agreement to keep the new project under wraps until company leaders were ready to reveal their new flying machine. At the coming summer celebration of flight in Oshkosh, Wisconsin, everyone will finally get to see what has excited many of those NDA signers. Airshow visitors will see a mockup, but if the full-size concept looks even remotely as good as it did in the computer presentation I was shown, be prepared to be blown away. This boat hull aircraft has features you've never even contemplated much less seen on any previous offering. You can guess some of what I'm writing about by their tagline for MVP, "The World's Most Versatile Plane." 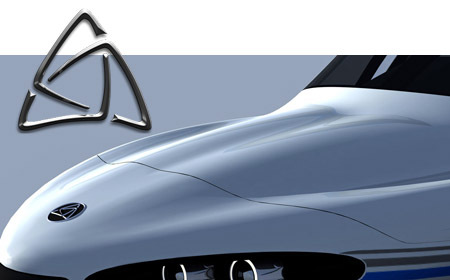 That's a big claim as we already have many good seaplane designs and more will be following. Yet after they get a chance to examine MVP, I think many may find the boast not out of line. On the day before AirVenture opens this year, that is, on Sunday July 27th, MVP.aero officials will make a presentation to invited media. By opening day Monday, the full-size mockup will be available for review by everyone attending EAA's 10th Anniversary Celebration special exhibit near Boeing Plaza, right in the heart of the giant event. 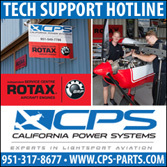 Come visit and see MVP along with a wide range of Light-Sport Aircraft or aircraft that Sport Pilots can fly. I'm not the only one who has been impressed with an private preview of MVP. Cirrus Design cofounder Alan Klapmeier, now CEO of turbine aircraft developer Kestrel Aircraft Inc., said, "The MVP is a game changer." Another aviation big shot, Jim Irwin, owner of Aircraft Spruce and Specialty, commented, "In my 30 years in aviation, I have never seen aircraft features such as these." I've known Mike VanStaagen since before Cirrus Design won FAA Type Certification for their SR20 back in 1998. 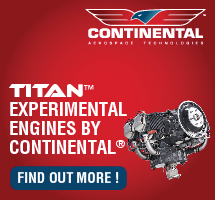 More recently, he has acted as lead designer for the Cirrus single engine Vision Jet being created by the successful Duluth, Minnesota company. 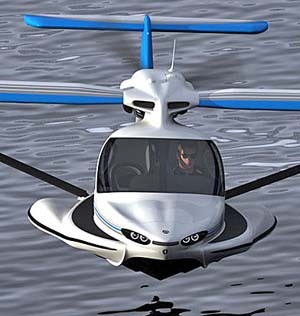 Mike has since moved over to MVP.aero to head design of the new LSA seaplane. "They asked me to design the aircraft of my dreams [and] this is it," he said. 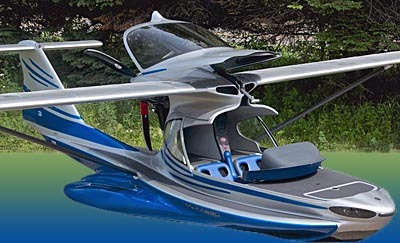 If those comments and my enthusiasm for innovative LSA seaplane design has piqued your interest, go bookmark the MVP website. You won't presently see anything more than I've told you here, but after the company's media debut as AirVenture 2014 opens, the website will be populated with more detail. Based on the quality of the imagery I was shown, I imagine you'll want to spend some time looking at all they publish online. I plan to have more once the company goes public on the day before AirVenture 2014 starts. Summertime LSA seaplane flying is getting truly interesting. Stay tuned! 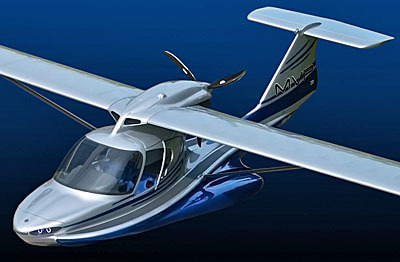 An entirely new Light-Sport seaplane will make its “global debut” at EAA AirVenture 2014 and this is one you’ll want to see up close and in detail. As with a number of other persons, I have been briefed on this new entry and, like the others, I signed a Non-Disclosure Agreement to keep the new project under wraps until company leaders were ready to reveal their new flying machine. At the coming summer celebration of flight in Oshkosh, Wisconsin, everyone will finally get to see what has excited many of those NDA signers. Airshow visitors will see a mockup, but if the full-size concept looks even remotely as good as it did in the computer presentation I was shown, be prepared to be blown away. This boat hull aircraft has features you’ve never even contemplated much less seen on any previous offering. You can guess some of what I’m writing about by their tagline for MVP, “The World’s Most Versatile Plane.” That’s a big claim as we already have many good seaplane designs and more will be following.